Urak is a high-population, pre-rich world with a billion or more sophonts in population size. This world has a colony at Bechant (world). Urak has a pressure of 1.50 to 2.49 atmospheres. Urak is Lucan's base of operations in Zarushagar and is the current home of Governor-General Rischard, his primary representative in the sector. Holding on to this high population world is made difficult because of Urak's excessive law level and convoluted legal system. There is constant friction between Imperial forces and the local population. 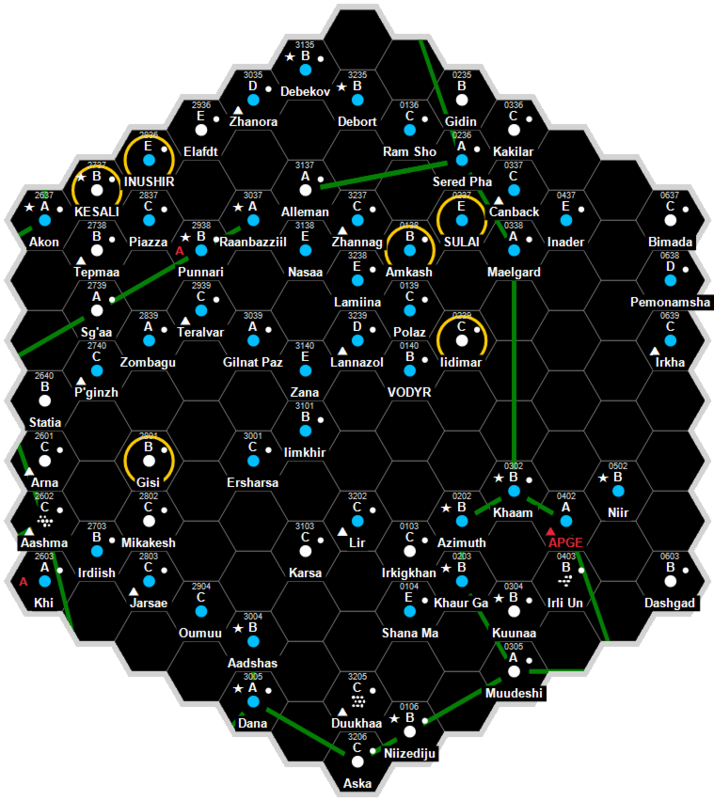 Despite this, the planet remains within Lucan's sphere of influence, mainly through the efforts of Rischard.